Anyone who has ever lived with a cat knows that they have a certain amount of magical energy and people often refer to them as having ‘psychic powers,’ in their ability to understand our emotions. Of our three cats, one in particular, Edna, who is our eldest rescue, has a really strong connection to my husband, who has Multiple Sclerosis and this manifests itself, when he is having an attack, or is feeling particularly poorly. For the most part she is welded to his side and her loyalty to my husband is steadfast. There is an old saying, that when a cat rubs against us, it is because they are sharing their magic and not only do they protect us from evil spirits, but also the negative energies that some houses harbour from previous owners. Have you ever wondered why some people are referred to as cat burglars? Maybe its because they are adept thieves stealing at every opportunity. From the scraps on your plate, to the milk in your fridge and then they disappear, just like magic! How many times have you watched your cat as they constantly return to the same space in your house, staring at something that just is not there! We know that cats have amazing senses and will often see things that you miss, so perhaps our cats really do see something that we miss and since they seem more curious than dogs, this could explain their sometimes erratic behaviour. Just stroking a cat can release people from their mental and emotional stress and in the winter, they make the most wonderful hot water bottles. Petting has been proven to lower blood pressure and this can reduce the risk of heart disease. A recent study also shows us that cat owners have a 40% less risk of having a heart attack. Even a cats purr has proven to be therapeutic and has also shown, that owning a cat lowers your cholesterol and cuts the risk of having a stroke by 33%. Cats have the capability to squeeze into any small space, however small. They almost defy the law of physics as they twist and contort in the air, falling from great heights with no problem at all. 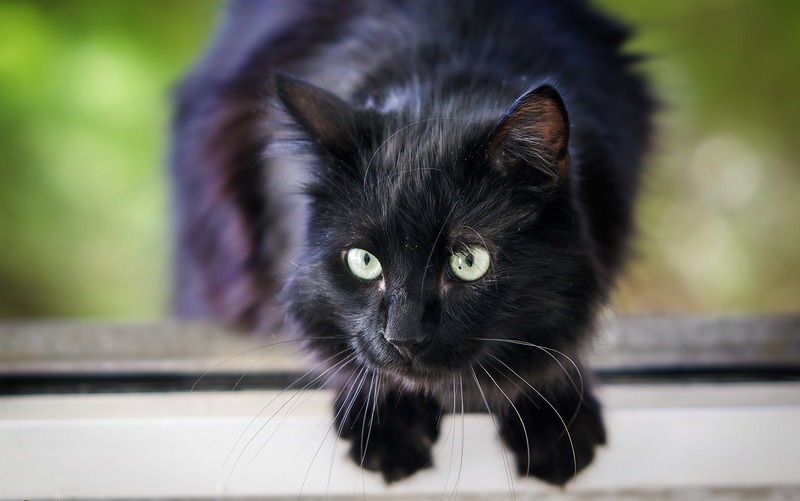 Have you ever tried shutting the windows and doors, to prevent your cat escaping outside. Within minutes and without any explanation, they miraculously appear in the garden! Well, they can predict earthquakes, know what you are thinking and even comfort the dying and is it just a coincidence, that cats are never to be found when a vet trip has been arranged! Our vet appointments just do not work and it is not because their carrier suddenly appears from the garage. They seem to sense that I have just made the appointment, so does this really mean that there is a telepathic bond between us and that they are indeed clairvoyant? As well as tuning into their owners thoughts, they also seem to know when an owner is expected home, regardless of them returning at unpredictable times. In my early days of pet sitting I had no set time of my arrival and yet just before I was due home, all three would be dutifully waiting on the window ledge mewing as I walked through the door. So cats have improved our lives in so many different ways. We have fewer medical visits and live longer by owning a cat. The psychic powers of cats may yet still to be proven, but for all of us owning and sharing our life with these creatures, is any further proof really necessary!